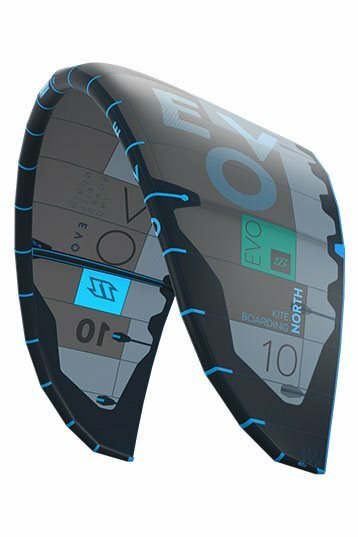 The ultimate all rounder, the Evo from North Kiteboarding is the kite to own if you change your riding style as often as you change your clothes! Jaime Herraiz needs no introduction as a rider, he excels at freestyle, freeride and wave kiting, and the Evo is his choice. Tom Hebert competed at the top level of the sport in freestyle, is also known for boosting huge old school moves and shredding the waves, naturally the Evo is his choice too. The kite has a smooth, predictable feel that riders fall in love with, the power delivery is progressive and the kite feels more like a C kite than the delta hybrid that it is. This year the Evo incorporates the new adaptive tips and also our streamline strut system, these new struts allow us to control the flow of air over the kite much better. This means we can improve the kites turning speed and responsiveness and reward the rider with a much more lively feeling kite. The larger sizes have a fuller profile and this gives them a much better low end range. The Evo can be flown with 4 lines or 5 giving the rider the choice to ride the kite however they desire. Depower is excellent, while the turning is direct and responsive allowing the rider to instinctively feel where the kite is in the window. The Evo soon ceases to be a kite and instead becomes an extension of your own arms! Hooked in, unhooked, freeride, freestyle, small waves, monster swells, strapped or unstrapped the Evo is your ticket to ride! During this test, we had the possibility of comparing the entire North series at the same time. Again, our main conclusion is that personal preferences in flight characteristics determine your ideal kite! The Evo, like the Rebel and the Neo, is a true allrounder but has a very different character. The most important are its low-end, easy relaunch, pretty strong feedback / bar pressure (adjustable) and a good shape for shorter line lengths. For wavers, this is the kite for you if you're looking for a constant bar pressure, short turning circle, stability and low end! Compared to the new 2013 Neo, its depower range is longer and its low end is better. 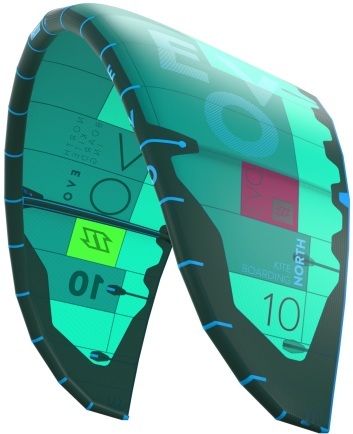 For freeriders, the Evo is a kite that can be flown in a wide wind range, that jumps easily and gives a lot of feedback. It doesn't provide the same performance the 2013 Rebel does, but it has a better relaunch, shorter turning circle and a more gradual pressure buildup. Freestylers will value the Evo for its pop in the low end; in the high end its sweet spot quickly decreases, leaving a constant pressure! On top of this, North has introduced variable line lengths this year for the first time. Every bar has its own line lengths, so no extensions! Why? Without extensions, the V-split in the lines stays in the right position with respect to the kite. Besides the Rebel, which has more wide wing shape, the delta-shaped Evo is a good kite to use with shorter 19 and 22 meter lines. This makes it extra fast but still stable and reliable, without compromising its low end. For wave riders, this is definitely a big plus! I like to ride with the Evo because is very stable in the air and as a smooth power development. Good in waves and in holdschool can be nice in some freestyle too. 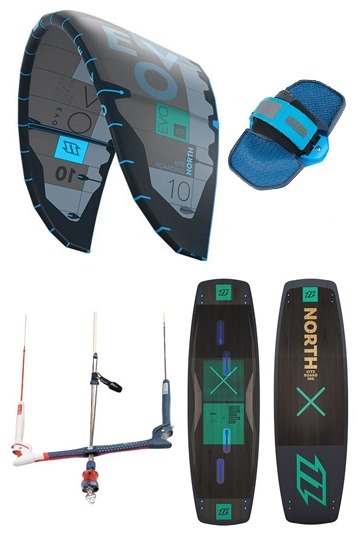 It's a good all round kite for beginner to pro.